1 carefully check the packing of the pump, if there is any damage or loss, please contact our company immediately.. 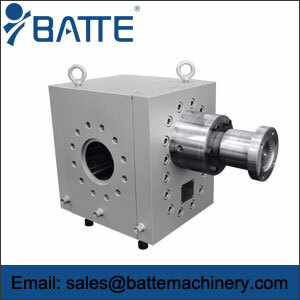 This pump is made of high temperature alloy steel, and all parts are treated with high hardness, so the material is more brittle.. Any impact and collision may cause serious damage, by lifting installation recommendations. 2 when installing, please accurately judge the pump inlet and outlet. 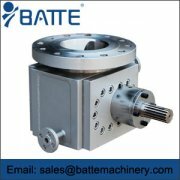 When the pump shaft is installed correctly, the shaft is clockwise.. 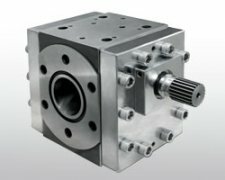 When installing the motor, a speed reducer, a universal coupling and pump, the pump must be installed base is fixed, ensure concentricity of the pump seat and the motor drive shaft rotation must be no clamping stagnation, otherwise it will cause a gear stuck, serious fracture of the driving shaft. 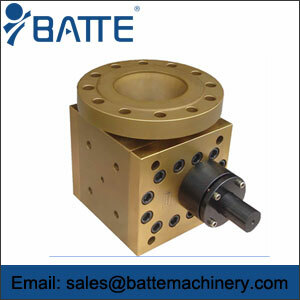 3 pump body pump appearance are left there are pressure sensor holes and temperature sensor holes, due to the correct installation of sensor, or measurement data deviation. 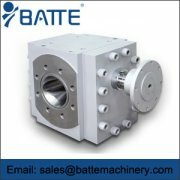 A high strength (12.9) bolt is used in the pump body to ensure the safe operation of the pump..
4 when the pump should be low-speed operation. After the pump is stable, can be adjusted to normal speed and pressure.. If the pump does not rotate smoothly, you must stop the pump to check the cause, so that the pump can not be severely damaged. If the packing seal is used, the position of the seal cover is often adjusted, so the sealing state is always in the .